Thank you for all your hard work on our behalf. From the first time we walked into your office, we felt we were in good hands and you always had our back. Your professionalism, knowledge and dedication to understanding and meeting our needs was remarkable and removed much of the stress we were facing. This has been a most difficult journey and your kindness and consideration made it easier. We are very glad we met you. Our clients are older, with one of them nearly retired and in poor health, and the other one working, but self-employed. They have owed over $90,000.00 to the IRS for several years. They have enough equity in their property to pay the IRS, but no lender will touch them because of the federal tax lien and because they do not make enough money to repay any loan. In fact, they do not make enough money to cover their monthly expenses. Because of the equity in their property, they are not eligible for an Offer in Compromise. We negotiated with the IRS and the IRS agreed to deem them as temporarily uncollectible. Being deemed as temporarily uncollectible is like an installment agreement, but no payments are made to the IRS and the liability does not go away. 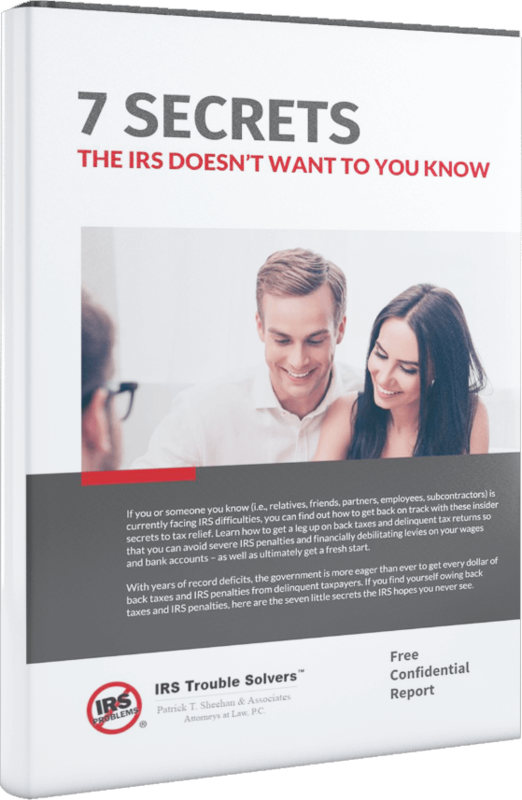 The IRS simply agrees to leave you alone for a period of time, usually one or two years, and will revisit your ability to pay in the future. If the taxpayers choose to sell their property, the IRS will be paid from the proceeds at closing. However, the IRS will not force the taxpayers to sell their property. If the collection statute of limitation on the liability (usually 10 years) expires while they are in uncollectible status, the IRS will be barred by law from collecting the liability even if they sell their property.